Johnny Abarrientos is expected to suit up for Alaska against SMB in the legends game, while Joey Loyzaga and Alvin Patriomino see action in the Ginebra-Purefoods match. 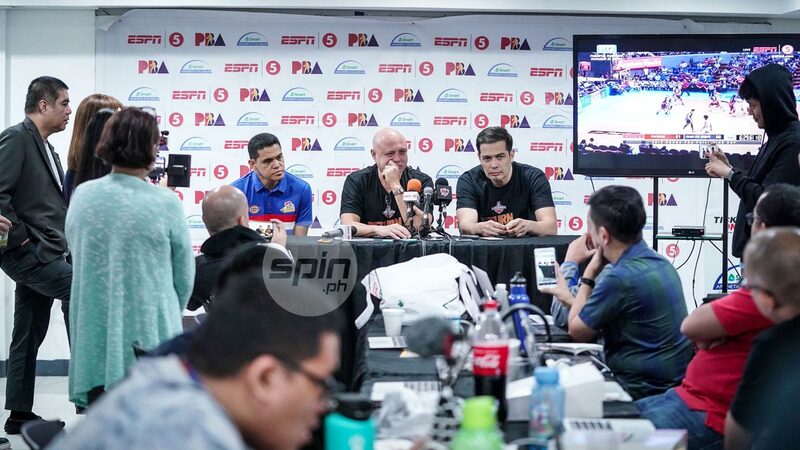 EVEN though they will be playing in an exhibition game, Alvin Patrimonio expects the legends match between Purefoods and Barangay Ginebra to still be a competitive game. The PBA Legends Foundation Inc. is holding the ‘Return of the Rivals’ event on Sunday at the Smart-Araneta Coliseum for the benefit of less fortunate former PBA players. Aside from the first game between San Miguel and Alaska, the second match will feature a classic match-up between Purefoods and Barangay Ginebra where Patrimonio expects the tiff to be competitive despite their age. The former stars recently got together to practice. Admittedly though, they are way out of their competitive form. “Kundisyon? Ewan,” said Joey Loyzaga, who will play for Ginebra in the legends game. “We played 20 minutes. After that, everybody wants to quit and go home. While going home, they were all limping,” Loyzaga said with a smile. Patrimonio said while they are all out to have fun, the essence of the exhibition is to help. “Meron kaming konting orientation. Sinabi lang ‘yung talagang purpose and campaign nung event. After that, konting papawis,” said Patrimonio.